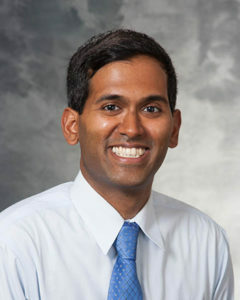 Dr. Venkata Meduri is a Clinical Assistant Professor of Radiology in the Community Radiology Section. He joined the Community Section after completing a diagnostic radiology residency at Beth Israel Medical Center in New York and a diagnostic magnetic resonance fellowship at the University of Wisconsin, Madison. He is board certified in Diagnostic Radiology. 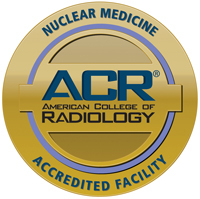 He is also an NRC (Nuclear Regulatory Commission) authorized user, MQSA (Mammography Quality Standards Act) certified and Cardiac CT certified. Dr. Meduri currently practices at Meriter Hospital and 1 South Park UW Health Clinic. Dr. Meduri enjoys writing, all things pop culture, blogging, reading, and exploring his surroundings. The Radiology Department provides ultrasound, CT scans, MRIs, mammography, nuclear medicine exams and bone densitometry. State-of-the-art Picture Archival and Communication System (PACS) allows physicians to look at images on the computer wherever they are, eliminating the need to transport images throughout the hospital or deliver images to different facilities. Magnetic resonance imaging technology includes the new Signa™ Architect MRI system from GE Healthcare, the most advanced MRI available today. Fort Memorial Hospital is the first hospital of its size in the nation to have this equipment. "Better Diagnostics for Better Care at Fort HealthCare"